Did you know making toys is super easy? All you need are some simple materials, a little dash of Science and a good imagination! Join the 3 Toy Makers on their little misadventure. They’ll be delivering a mountain of toys, throwing a surprise party for a mystery guest and flying to the moon! For more info, click here. What are you waiting for? Grab yourself a Try-me Box today. 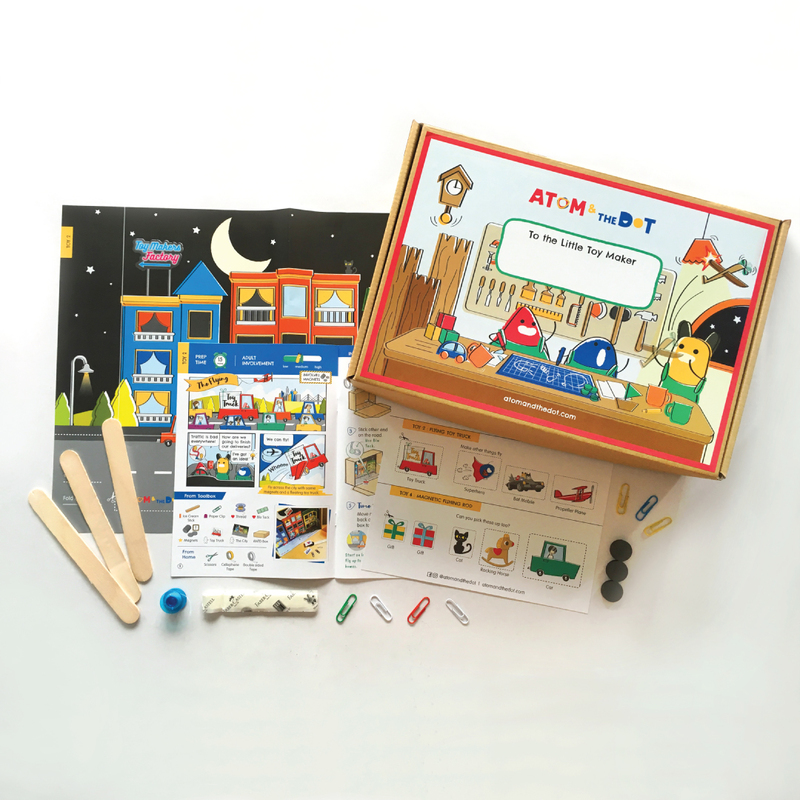 This Toy Tool Box comes with materials and instructions to make 6 mini toys with Science! You’ll receive a booklet with some trivia on how to use magnets and stretchy things, like balloons and rubber bands, to make toys. There’ll be instructions for the activities and you’ll also get the materials and ingredients you need to complete each activity. For more details on the activities and adult involvement required click here. You will receive your Atom & the Dot box in 3-5 working days. For deliveries to Sabah and Sarawak, there’ll be a RM10 fee.